Discover all the latest Audi A8 offers currently available. 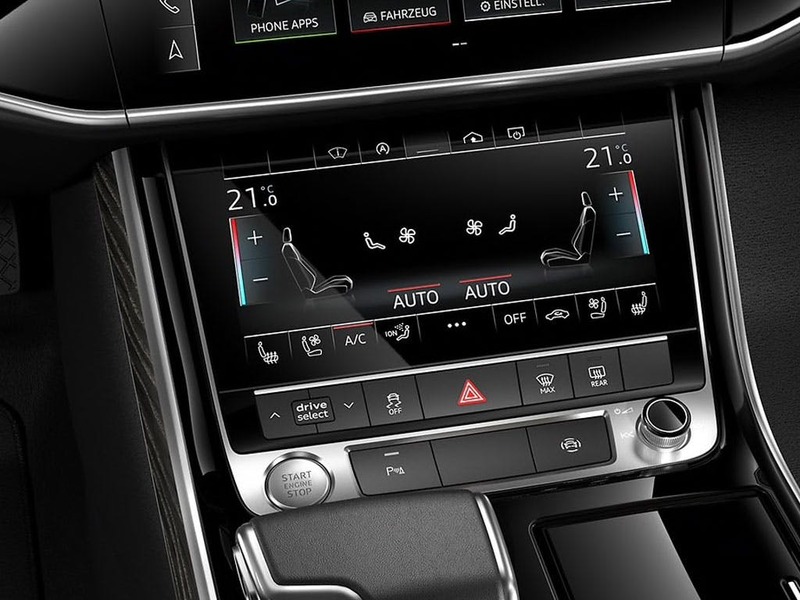 Every detail matters, view the Audi A8 technical specification. Download the latest A8 brochure. Driving has never been so responsive until now. The new Audi A8 packs a punch no matter which engine you choose, allowing you to experience the exhilarating drive you’ve been waiting for. Combining high performance and fuel economy, the 3.0-litre TDI boasts 262PS and achieves 49.6mpg combined. For even more power under the bonnet and greater thrill on the road, opt for the 605PS 4.0-litre TFSI turbocharged V8. 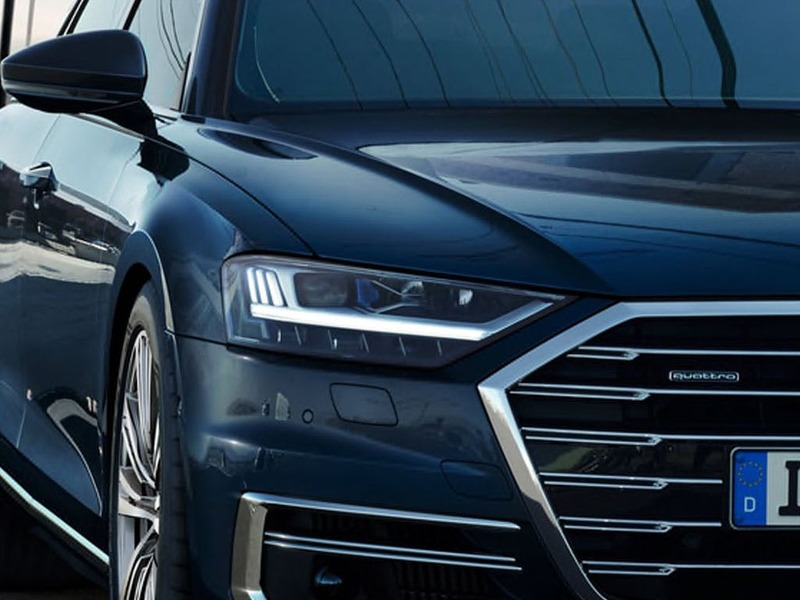 Built on Audi’s innovative Audi Space Frame, the new Audi A8 is lighter than its predecessors, increasing the agility and dynamics of the car for a unique driving experience. 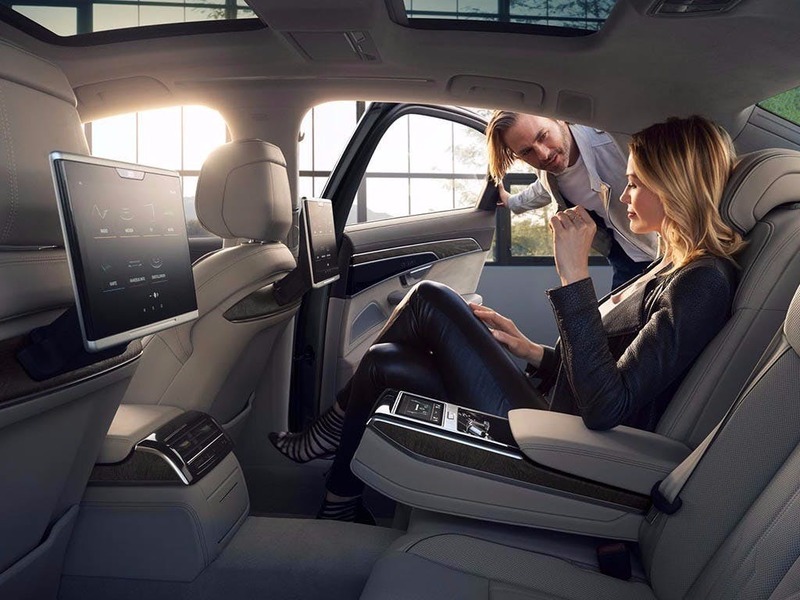 A luxury saloon defined by its spacious cabin, the new Audi A8 keeps getting better. Easily able to accommodate five people, you and your passengers can enjoy the ride in superb comfort. With a length of 5,135mm, the A8 offers plenty of legroom in both the front and rear seats. Even the tallest individual can enjoy the new Audi A8, as a height of 1,460mm provides enough headroom for a comfortable journey. Providing up to 490 litres of additional storage, the Audi A8’s boot is large enough to meet almost any travel requirements. 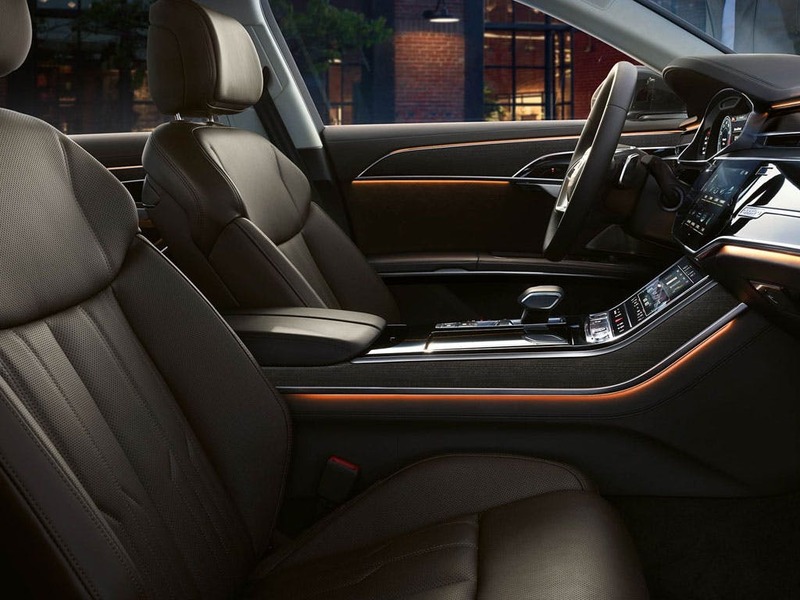 More than just an interior, the new Audi A8’s cabin is in a league all of its own. 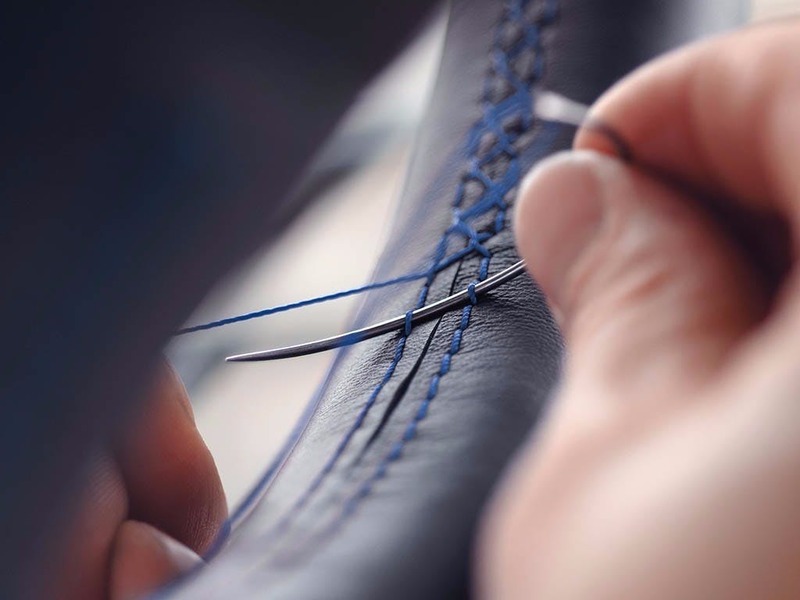 Made using the highest quality materials, the interior is simply sublime. Luxurious leather seating, wrapped in the finest Valcona leather, will make even the longest of journeys feel more like home. 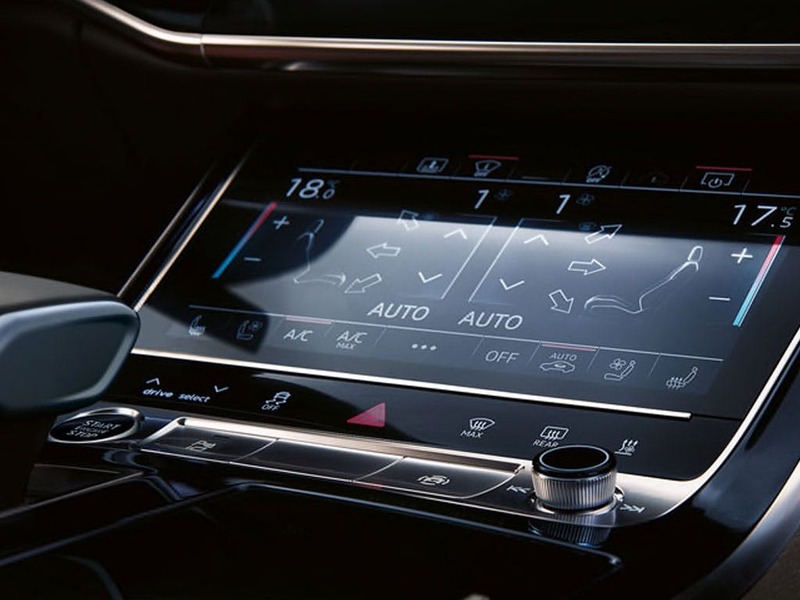 Finished with the finest of details, including brushed aluminium and smooth walnut inlays, the new Audi A8 provides a driving experience like no other. 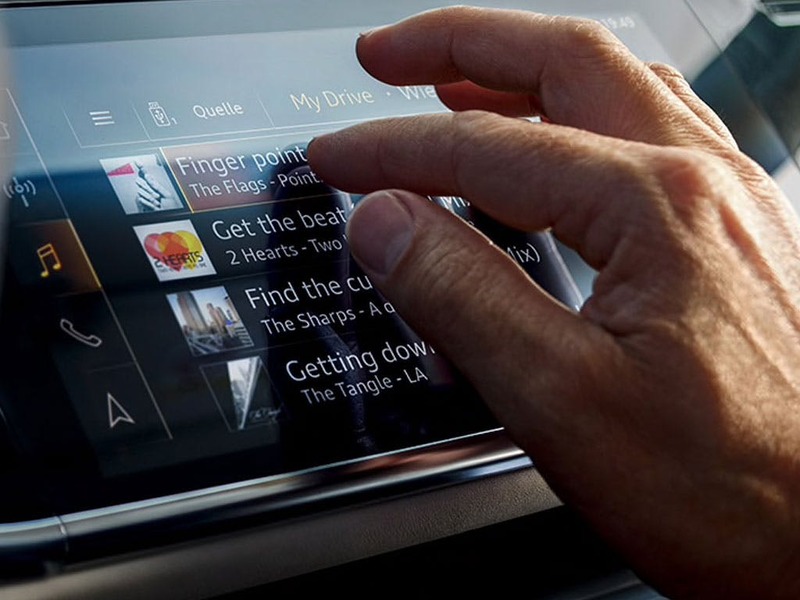 With a range of customisable options available, you can make the new Audi A8 as personal as you like. 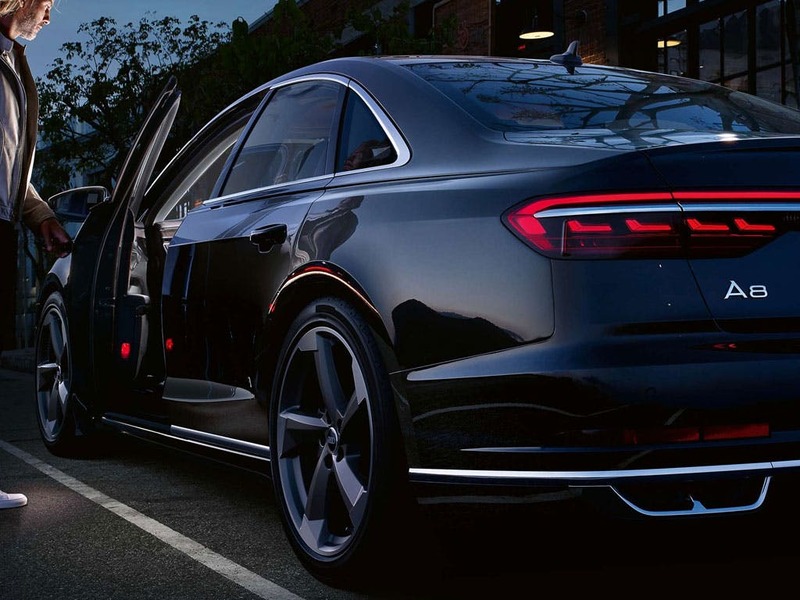 Drive to impress with the new Audi A8. Experience a new kind of beauty with the new Audi A8. 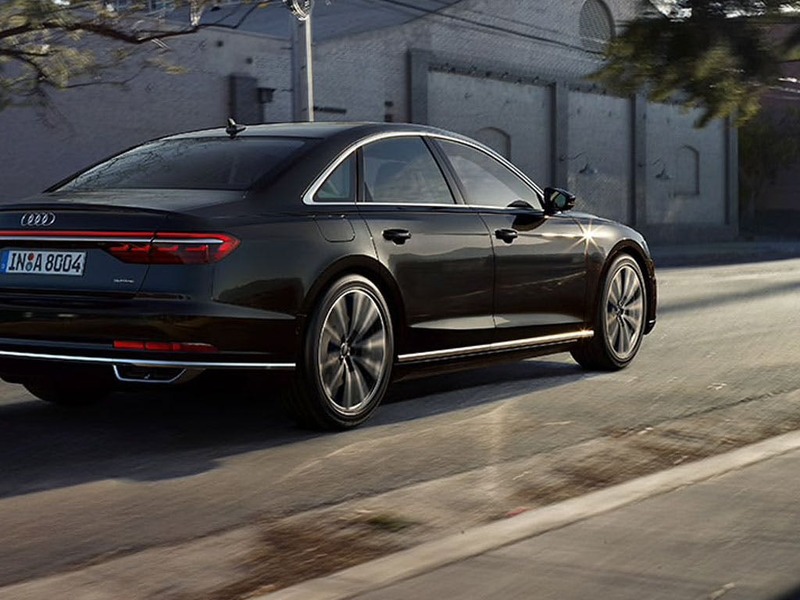 Bold features, sleek lines and an imposing presence, the new Audi A8 is breathtaking. Audi LED Matrix headlights and dynamic rear indicators contribute to the powerful aura of this luxury saloon. At the front, the signature chrome Audi grille makes the new Audi A8 instantly recognisable. Add the perfect finishing touch and choose between 19-inch and 21-inch alloy wheels in a range of designs. 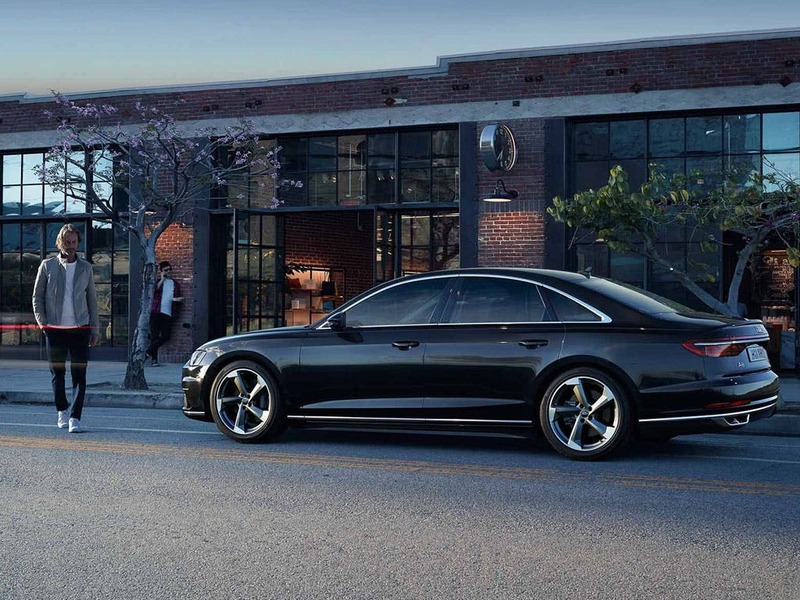 Guaranteed to turn heads, hit the road in the new Audi A8. Enjoy a new way of driving with the new Audi A8. Visit your nearest Audi dealership in Colchester, Chelmsford, Chingford, Finchley Road, Harold Wood, Hatfield, Stansted, Southend, Whetstone and Watford for more information. 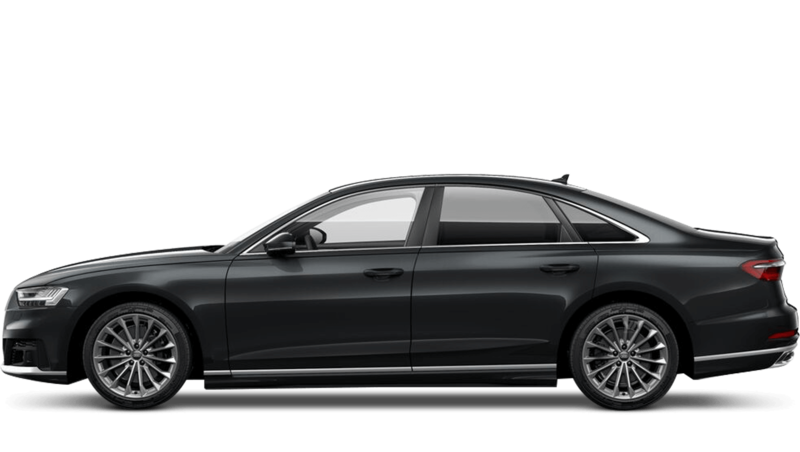 of customers that bought an Audi A8 would recommend to their friends and family. The experience at Watford Audi was fantastic because great service by a helpful salesman Al salesman should be like this! I'd suggest Finchley Road Audi to a friend because of the guy, Abdullah Hussain, who was very kind and despite it was his first sell he was very professional and he went the extra mile to cover every corner for me. Thumbs up to him and I wish all the best for his career. The staff at Harold Wood Audi were good because they treated with respect and care, they looked after and dealt with my every concern to ensure that I was completely satisfied with the purchase of my A8 L, from the first moment I walked into the showroom all the staff were courteous and attentive, in conclusion I would certainly recommend Audi Harold Wood first class service, thank you. I'd endorse Watford Audi because the staff are very knowledgeable and professional but also very friendly. Having never been in a dealership before, they put me completely at ease and I had an excellent experience thought the whole process. Would thoroughly recommend this dealership to everyone. The staff at Finchley Road Audi were good because they were courteous, friendly and efficient. The experience at Stansted Audi was good because Mark Jones and his colleagues were determined to get me what I wanted and expected. I'd suggest Chingford Audi to a friend because Your sales person Nick Payne was an absolute pleasure to work with, he is ia credit to to your company, informative, proactive and considrerate throughout the process.